Atlanta-based startup, BI Brainz, announced today that it has replaced its popular blog, EverythingXcelsius.com and the ‘Xcelsius Gurus’ network with ‘Analytics on Fire’. The new name will reflect the diverse interest of its growing audience, and showcase its new customer interview podcast. In 2008, Everything Xcelsius became the main community to learn about data visualization for SAP BusinessObjects customers. Since then, the business intelligence industry has dramatically changed. As such, Analytics on Fire is an evolutionary step for both new and existing members, and will serve as a community for enterprise customers who wish to share their analytics journey. Visit BI Brainz Analytics on Fire Community at http://bibrainz.com/aof. BI Brainz is a fast-growing team of business intelligence professionals with a keen eye for design. The company’s goal is to make big data more useful by developing beautifully designed applications that creates experiences users will love. The company provides innovative business intelligence solutions tailored to meet an organization’s needs, with a focus on increasing user adoption. To find out more about BI Brainz and the way it can help your company gain insight from big data, send an email to info(at)bibrainz(dot)com or visit http://bibrainz.com. Soo Tang Yuk (@sootangyuk) is the Chief Marketing Officer at BI Brainz and the new Analytics on Fire community Co-Founder. To find out more, please visit her about me page. I remember 7 years ago, getting a call from Mico with a vision to create a community around Xcelsius. From that one discussion EverythingXcelsius.com was born and we quickly learned one lesson. A group of passionate and highly intelligent professionals gravitated toward Xcelsius in 2004-2010 and the community that formed was something very special. Needless to say, riding the Xcelsius wave has been amazing. I’ve enjoyed meeting so many of you at various events around the world. What I’m most excited about now is Mico’s vision for BI Brainz and the soon to be released new ‘Analytics on Fire‘ community. Having once again and personally discussed with her over the last two years, it’s something that we feel will be very exciting. As the market continues to rapidly evolve, the timing is perfect to take the existing Xcelsius community who are older, wiser and more diversified in technology knowledge into the next 7 years! See you on the other side…. but first, since this my last EverythingXcelsius post, I put together my “Ultimate Top 3″ lists. Let’s go down memory lane! Dashboards don’t kill Dashboard Projects, People Do! - Ouch! Still holds true today. The Slow Death of a Gauge - This may be getting up there with pie charts. The look on customer’s faces when I could drag and drop a gauge or chart on a screen, wire it up to a simple slider and stick it in a power point within a couple minutes. Traveling the world in 2006-2007 evangelizing the possibilities of dashboard with Xcelsius and meeting hundreds of colleagues. Maps for Everyone - Through CMaps Analytics, I am focusing all of my energies to make geo-visualization and analytics available to everyone, everywhere in the enterprise. Indoor Analytics - With internet of things on the horizon, Indoor tracking is one of the next big data generators, so someone needs to figure out how to funnel this location data into useful information! Keeping up with the community - Though EverythingXcelsius as we know it is winding down, I am not going anywhere as BI Brainz picks up where EverythingXcelsius left off. Antivia DecisionPoint- I am seeing lots of Xcelsius users gravitate to DecisionPoint for Excel. These guys helped make Xcelsius enterprise ready with XWIS, and from my perspective built the successor to Xcelsius that SAP should have created. Tableau - In 2013 Tableau’s maturity as a visualization powerhouse took the BI industry by storm. It is not really a dashboard tool, but is best of breed for data exploration and what I use for my data exploration. 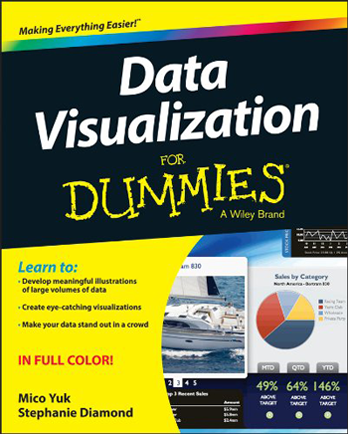 D3 - This is more geeky and more about coding visualizations than rapid design, but D3JS.org is a visualization framework is very slick; it is also the foundation for several large software vendor visualization packages (including SAP). Don’t forget to join us at the new Analytics on Fire community! 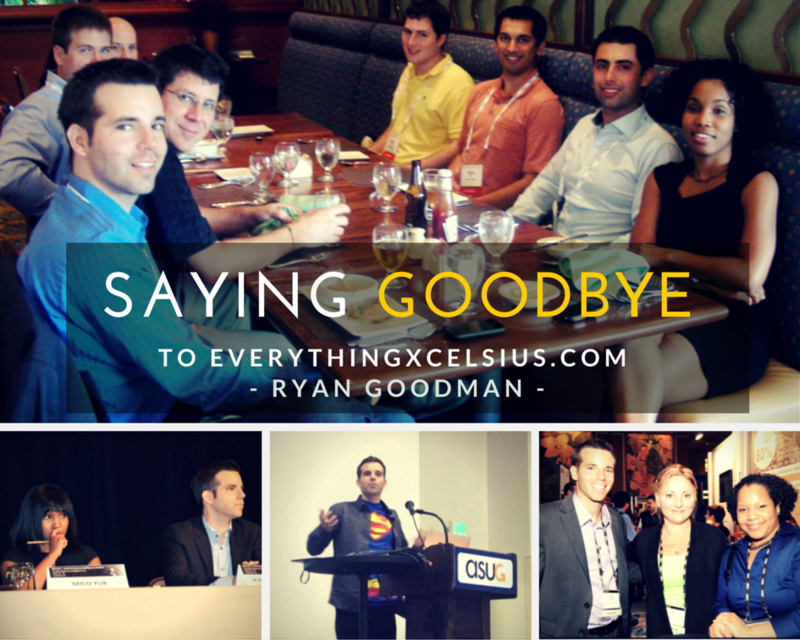 Ryan Goodman is the Founder of Centigon Solutions, an SAP® software solution partner that is strategically focused on developing add-on products for use with Xcelsius®. To learn more about him, please visit our new Gurus page. Even with all the hype surrounding business analytics and big data, many organizations struggle to create “useful and intelligent” analytics that deliver true business impact. Plagued by immutable data cultures that harbor silo-reporting practices, organizations must find innovative ways to re-engage their users and exploit data to stay ahead of competitors. One of the most effective ways to foster innovation, remain competitive, and create a visual data culture is the use of storyboards to communicate knowledge and interpret experiences. Storyboarding is the future of Big Data analytics. Join her to learn why and how companies like Shell, VISA/Mastercard, Nestle, Ericsson, and Kimberly Clark are using visual storyboarding to disrupt today’s data culture. She will discuss the scientific impact of storytelling and show you how it can drive user ownership, adoption, and deliver impact. Get practical training on Data Visualization, Predictive Analytics, R, Big Data,Excel, Power BI, and learn how to leverage data to drive decisions, uncover insights and increase productivity to remain competitive in today’s marketplace. Take your skills to the next level. Learn the tools and technologies required by today’s business and data analytics pros. Learn from the best. 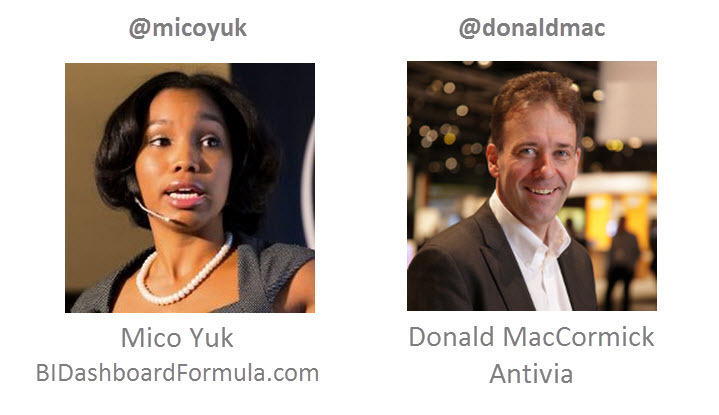 Get first-hand info from top-rated analytics speakers from leading companies. Stay ahead of the curve. Make smart data-driven decisions by understanding new trends and directions. Build connections. Immerse yourself in a dynamic community who shares the same business challenges. Be inspired! From keynotes, panel discussions, and sessions to mealtime conversations, the PASS BA Conference is all about meeting people, sharing issues, and gaining new ideas and that will make you a better analytics professional. The five conference tracks follow the analyst’s journey and are designed to provide real-world knowledge and experience you can put to work immediately. Discover & Integrate – Learn how to extract the data you need and how to integrate, combine, cleanse, reshape, and prepare data for analysis and discovery. Analyze & Interpret – Learn about statistics for data analysis and statistical programming, forecasting, text mining, and predictive analysis techniques – including using algorithms, data mining, and advanced visualization to help predict future outcomes, simulate business scenarios, and optimize business processes. Visualize & Inform - Learn the principles of effective report layout and design, visualization best practices, and keys to successful dashboard design. See how to make your data actionable – not just pretty, how to explore and visualize information in 3-D, how to use spatial analytics to tell better stories, guidelines for reporting on mobile devices, and how to visualize data in the cloud. Communicate & Lead – From mastering the principles of winning presentations and storytelling to successfully managing an analytical project, using analytics to transform your business model, Big Data’s impact on business strategy, and the complex but important topic of data ethics this track is designed to fine-tune your professional skills. Unlocking Big Data – See real-world examples of how companies are unlocking Big Data, hear experts’ predictions for the future of Big Data, and learn best practices around technologies for accessing, consolidating, managing, and analyzing large data sets, including relational, non-relational and streamed data sources. Please use discount code BAMICOYUK at registration for a $150 savings. Soo Tang Yuk (@sootangyuk) is the Chief Marketing Officer at BI Brainz and the ‘Xcelsius Gurus Network’ community manager and evangelist. To find out more, please visit her about me page. Thanks to everyone that registered for the webinar, “Collaborative Design is the Key to Great Interactive End-User BI” with Donald MacCormick and Mico Yuk. As promised the recording is available for those who could not attend. 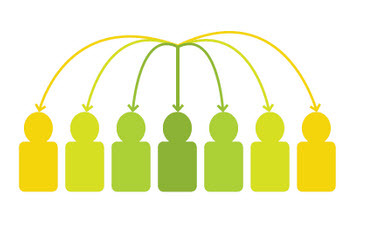 Why are Collaboration and Iterations so Important? Enjoy the webinar and please feel free to leave any comments or questions for the speakers below. Don’t miss out on the last chance to join Mico on the BI Dashboard Formula tour this year! Final stop -Montreal, Canada on November 11th. For more information, please visit: BI Dashboard Formula tour page. This is your final opportunity to learn from one of the best BI Dashboarding Gurus in the world! Join Mico Yuk at the MasteringSAP Reporting & Analytics conference, September 9-11th, in Johannesburg, South Africa. This unique conference is aimed at business leaders who drive the need for reporting, along with IT executives and their BI teams. The agenda is perfectly balanced to speak to business users as well as BI teams and is made up of local & international case studies – customers and users sharing stories that will help their peers to fast track initiatives and improve business processes. These are real business examples of people using their data assets to drive good analytics! 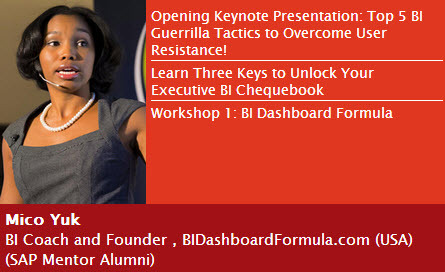 (09:00am) Opening Keynote: Top 5 BI Guerrilla Tactics to Overcome User Resistance! There is only 13 days left to register and places are limited so register online ASAP to reserve your seat, or contact The Eventful Group at +27 21 460 0434 to get registered! If you can’t attend, Mico will also be tweeting & taking many pics, on twitter and instagram using #MasteringSAP hashtag!